Unistyle Cabinets, Osbourne Park is a quality Perth (Western Australia) based kitchen and cabinet maker servicing the Perth market. Creating kitchens is a very dusty business. Cutting and sanding plywood generates a lot of dust. 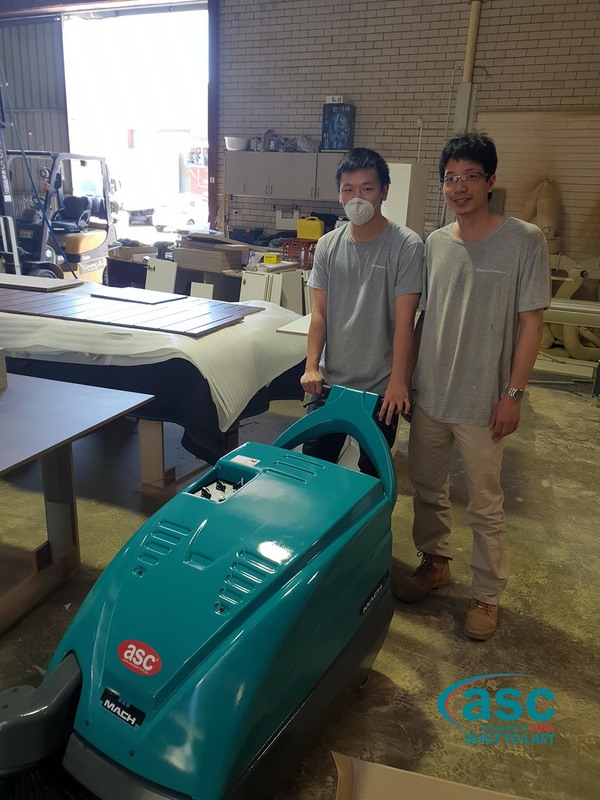 UniStyle recently asked ASC expert floor consultant Ross Sheehan (WA) to help eliminate their dust problem and make cleaning their facility easier and much more time efficient. 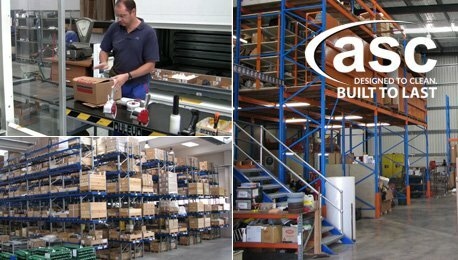 The company was using a industrial vacuum cleaner which would not only clog very quickly but also emit a lot of dust. It was a very ineffective way of sweeping timber dust. Ross consulted with the management of the company and recommended the ASC M1 sweeper. After a demonstration the M1 sweeper proved a labour saving over 84% with no dust creation. With such time saving now standard, the factory looks very clean all day long and the operators can now remove their face masks because they can enjoy breathing fresh air.